Going to a physical shop to see a physical product is so last millennium - or so we thought. 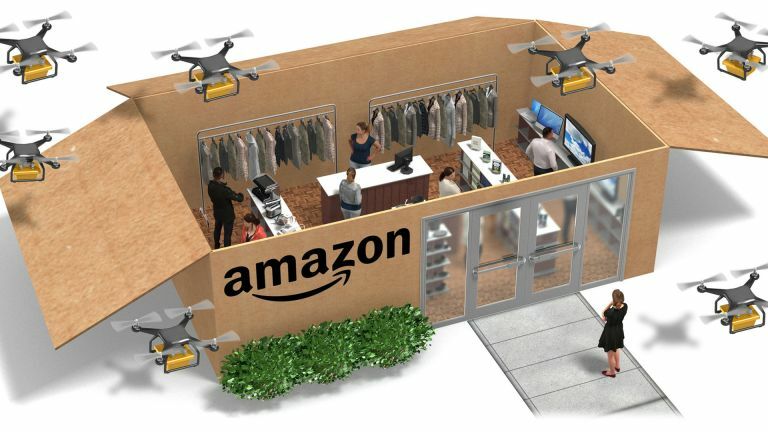 The future, as far as Amazon appears to be concerned, is all about augmented reality shopping, but in real shops. Despite starting out as a company that would end physical shops, Amazon appears to be moving in a different direction with talk of physical shops that sell appliances and furniture - things people are often more reticent to buy online without seeing first. According to The New York Times, Amazon is looking into plans for augmented reality shopping that places products in your home virtually. The idea is that if you were looking to buy appliances or furniture you could fit it in your home to see how it looks before you decide to buy. How that will work from Amazon’s physical shop is unclear. Perhaps you’d see it in store then download an app to use on your Google Cardboard when you get home that places the virtual item anywhere you point the AR headset. The whole plan is still in the talks phase according to the anonymous source so we may never see if - or this could be the future of shopping. We’ll just have to wait and see if AR objects start cropping up at home. With physical Amazon book shops already a reality this doesn’t seem all that far fetched.